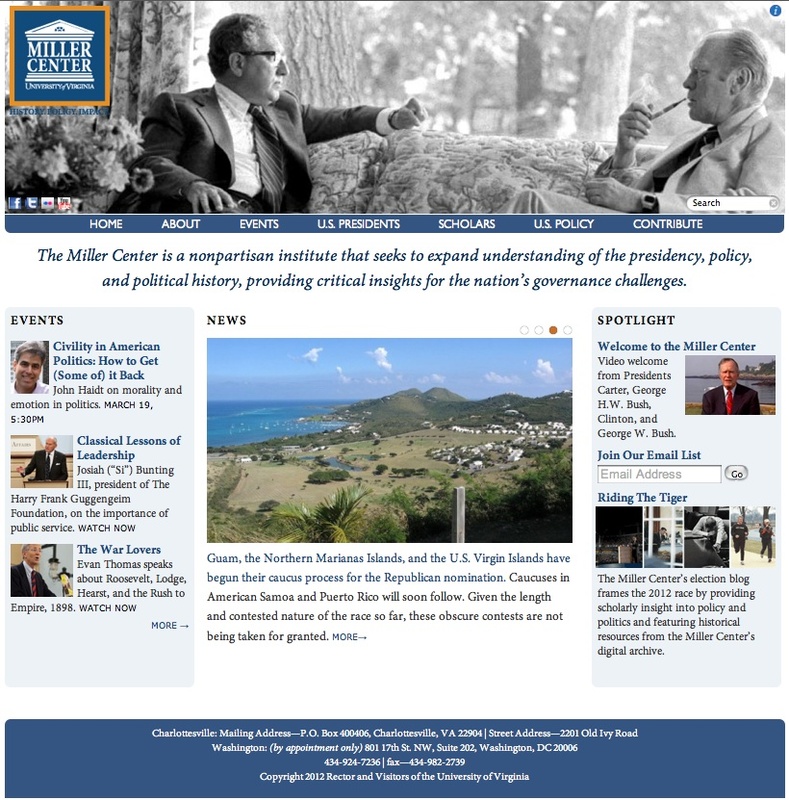 Founded in 1975 and hosted at the Virginia University, the Miller Center of Public Affairs is a public policy institution aiming to study the role and history of the American presidency. It pursues its mission through academic and policy programs as well as by organizing seminars and forums. This rich website, which integrates several projects and relative websites, is organized in four main sections (Academic, Public, and Policy Programs, and Scripps Library) each providing complex archives containing essays, documents, audio and video items related to their subject areas, and freely downloadable in different original formats. Moreover, each section provides special features, making available rare and outstanding records on US presidential matters (i.e. almost 5,000 hours presidential recordings from 1940 to 1973; in-depth info on each President and his administration reviewed by experts; etc.). As well, the Online Reference Resource provides reference assistance with subject specific bibliographies and descriptions of the available material on US Presidency- and US public policy-related issues. A search engine feature (by keyword or by collection) permits to easily locate the desired multimedia or textual resources among the extreme richness of contents. The website can be easily navigated and material retrieved also thanks to an extremely clear content organization.